Fulfill your dream to feel like a real spy. Night Vision can learn the secrets of the dark. 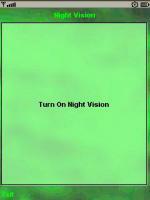 Night Vision is an application that fully simulates the operation of the glasses that let you see in the dark.